In a world where class distinction means the difference between imprisonment and freedom and even life and death, being chosen to stay in the encampment and breed is the only way to guarantee survival for a teenage Producer. Every year after harvest, the finest examples of teenage Producers are assigned mates; the rest are loaded onto carts and hauled away, never to be seen or heard from again. Trinity, a sixteen-year-old Producer, knows that she has no chance of being chosen to stay. She isn’t even full-blooded Producer. Her father is a House Servant and she’s spent her entire life hiding her differences, especially her claws and fangs. 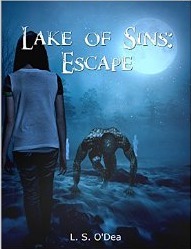 She has one week to sneak into the forest and discover what happens to those who are taken. Her plan is simple, but she doesn’t count on being hunted and captured by predators long believed to be extinct. Can she elude her captors to uncover the fate of her kind and return to camp before her escape is discovered? No. In general, I am quite happy with who I am. I do wish I were thinner and richer, but not someone else. I believe that this “acceptance” of me is because I am brutally honest with myself. For the past eight years or so, I have ferreted out all the little parts of me which I had kept hidden in the past. I examined them and either accepted them, modified them or I get rid of them (still working on some of these). I’m not perfect, but I am content with who I am and who I am not. Truthfully, at some point, I dread every aspect. When I am getting ready to create the first draft, I dread jumping into the rabbit hole but once I’m there and working, I love it. I get excited when I find a new twist or turn and can hardly wait to give it to someone to read, but I know that there is a lot of work before I am ready to hand it off to a beta reader. That brings me to the next step: revision. I dread reading and reshaping the work. At this point, I want to create not edit and revise. Then I tighten it, cutting and adding, and the story takes a more defined shape. Once again, I can’t wait to give it to someone to see if they catch all the little seeds that I’ve planted. However, it is still not ready to hand out. After many revisions, when I have the story in its final shape, I proof for redundancies, typos and grammatical errors (I do some of this all along but this is when I line edit). I find that I see the errors better in a printed copy, so I get one and trudge through this part. I never really enjoy this task but it is very necessary. Now, I am finally ready to pass it out to my beta readers. Even though I was excited at different points in the process, I dread this also. Then I talk to the beta readers and take their suggestions, comments and rework the story once again. Hopefully, this isn’t a major revision but it does start the process again with all the accompanying dread. Then when it is finally ready for release there is the marketing. That I truly don’t enjoy. Yes. During the creating stage, I often come to a section that just won’t flow. I can’t get the words out. So, I summarize what I want to accomplish in this scene and move on. I’ll go back to it later when I revise. A lot of times these scenes end up being unnecessary to the story. Perhaps that’s why they refused to be created. It is going to be a while before I have book three done of the Lake Of Sins series, so I decided to write a short story (turned into a novella) about how Christian, Trinity’s River-Man, came to be. I may even turn it into a graphic novel. This story has some familiar characters (Professor Conguise, Laddie, etc) and some new ones. It is the story of one poor Guard and his life once he meets the professor. It is not a happy story (I mean, we know what ends up happening to him) but I think it is good (dark and tormented). It also helps to paint a picture of what is happening in the forest. She ran blindly away from the sound of the Guards, her backpack slamming against her spine with each stride. If they catch my scent, they will find me. She skidded to a stop. The forest had ended. A rock wall loomed in front of her, stretching to both sides as far as she could see. Little crevices and divots peppered the wall, but it was too steep to climb. She had to make a choice. The wrong one would cost her freedom, maybe her life. The trees rustled behind her. Too late. They found me. This had all been for nothing. Now, the best she could hope for was to be taken with the others. Her chest tightened. She had to make sure that her mom and Remy weren’t punished because she escaped. She raised her hands to her shoulders and slowly turned. Her breath caught in her throat. A Tracker, the deadliest of predators, stood on its back two legs, towering above her, front legs hanging down like arms. Brindle fur covered its body and its eyes glowed yellow in the shadowed forest. Its tongue lolled out the side of its mouth, exposing a row of sharp teeth on the other side. Someone should tell it that they no longer exist in the wild. L. S. O'Dea grew up the youngest of seven. She always wanted to do what her older siblings were doing, especially reading stories. Ill at a young age, she immersed herself in books. Her life changed when she read a short story written by her older brother and realized that normal (somewhat anyway, since her brother was a bit weird in her opinion) people created these amazing stories. From that day forward, she wanted to write. However, as with all good stories, obstacles rose in her path (mostly self-created obstacles) and it took her many years to put finger to keyboard and type her first book. L.S. O'Dea will be awarding a $50 Amazon or Barnes and Noble GC to a randomly drawn winner via rafflecopter during the tour. Oooh, this book is very intriguing, I will definitely be reading it! And thanks for the awesome giveaway! Thanks Judy, let me know what you think after you read it. I love hearing from readers. This is just perfect for Halloween. I can't wait to read it. The excerpt even scared me. Hi Misty, it is dark. Hope you like it. Let me know what you think.
" ... at a young age, she immersed herself in books...." I think a lot of people reading this blog (and writing books) did so too! I really enjoyed the interview, thank you for sharing! Know thyself! Hi Betty, thanks and I agree completely. Knowing yourself and accepting yourself is not easy but it is one of the kindest things that you can do. I enjoyed reading the steps you take to get a story out. Not many people enjoy the revisions for sure. HI Deanne, yeah I'm sure I'm not alone in the revision part - it's a lot of work. Very informative interviews on this tour! Hi Trix, glad you are enjoying the tour and thanks for following. I enjoyed the interview, this sounds like a great book, thanks for sharing! Thanks for reading and following, Eva. Bailey Dexter Loved reading the Excerpt! Can't wait ti read the book! Great. Let me know what you think when you are done. I'm happy to be me too. Glad to hear that Mary. I wish everyone could say the same. The world would be a better/happier place. Hi Victoria, thanks for following and commenting. Thanks for the author post! Hi Glenda, thanks for reading. Hi Mai, if I had a lot of money I would write (of course) but I would also open up an animal sanctuary and start some programs. For example, I'd start a program where someone would go to seniors' houses and help them to care for their pet and the seniors would know that if they got to the point where they could no longer care for their pet, this organization would foster the pet until a new home could be found. I know a lot of seniors don't get pets because of the work/costs (walking, vet bills, cleaning litter boxes, etc) and also because they don't want the pet taken to the shelter when they (the senior) passes or is hospitalized. I find that all sad and unfortunate for both the senior who could use the companionship and the pets who could use a good home.  Hi Unabridge Andra, thank you for hosting this stop on the blog tour. I'm sorry that I did not get back last night. I have been suffering with a migraine the past few days and last night I just could not spend even a moment with the lights from the computer. I'm feeling better today. Thank you again.